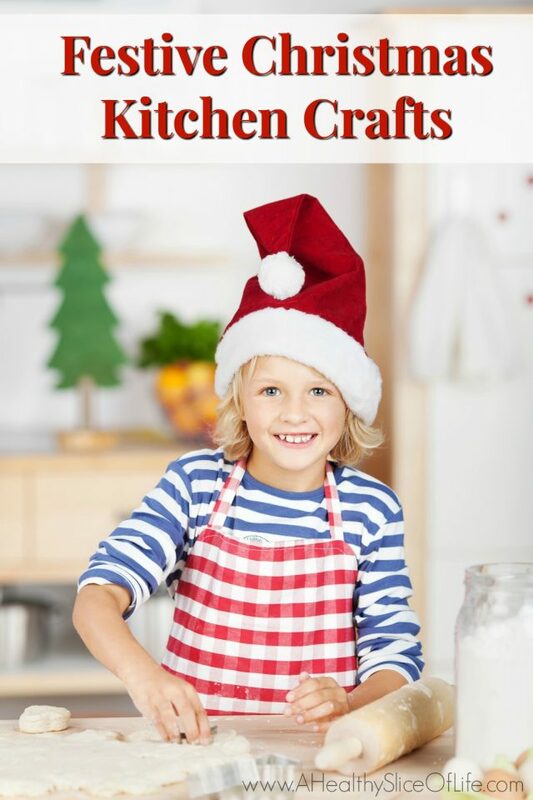 Have some festive fun with these 3 simple Christmas kitchen crafts for kids! 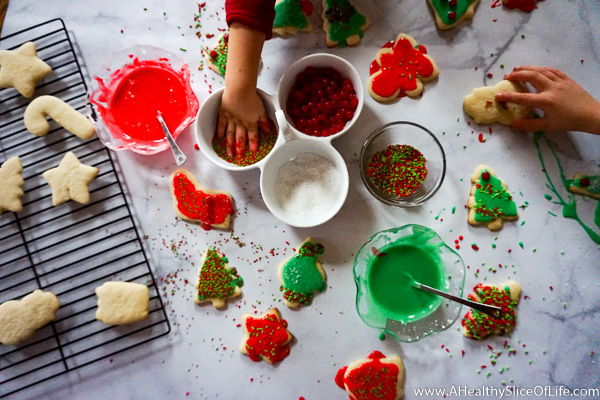 Perfect for toddlers and up, these kitchen crafts will make some sweet holiday memories! In October I always find myself gearing up for the holidays. I always pat myself on the back for feeling like I’m on the early side. Though I try my hardest to slow down and savor, this time of year still always seems to go by in a whirlwind. 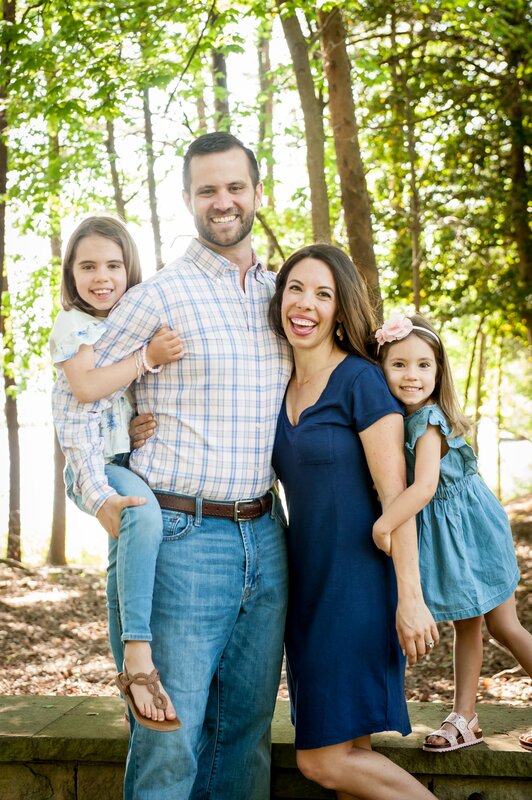 With the kids at such sweet (most of the time) ages, I really want to be intentional in spending time with them, so this year I’ve made a list of fun things to do together. Since we (finally!) got some rain this week, we started with the kitchen crafts, which all proved to be a great hit. I wanted to share them with you today in case you are feeling festive and wanting to make a big ‘ol mess in your kitchen this weekend! I know, you’re astounded by my creativity! Really though, for all the talk about cookies this time of year, I don’t often end up making very many, which is why it was high on my list this year. And (shocker), it’s a classic activity for a reason; the girls LOVED it. Find a solid recipe so you won’t worry about results. We used Cassie’s Perfect Frosted Sugar Cookies Recipe and they were true to their name- delicious! Plus it made a ton of dough, so I still have 2 large disks in the freezer, ready to be defrosted when we get the itch to make more cookies. Set out all the toppings in pinch bowls rather than shaker bottles. This limits the amount little hands can completely dump onto one cookie. 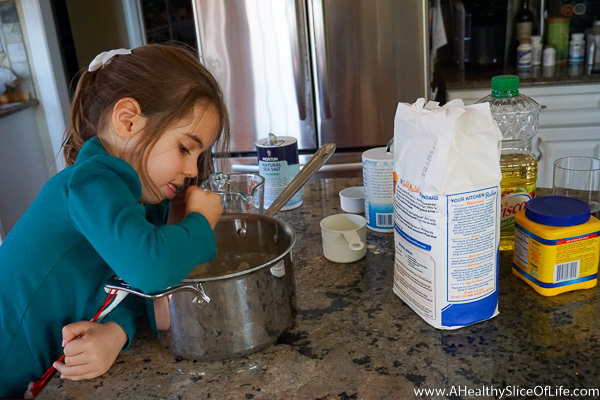 If you are a cookie artist/perfectionist, put a few over to the side for you to decorate later. 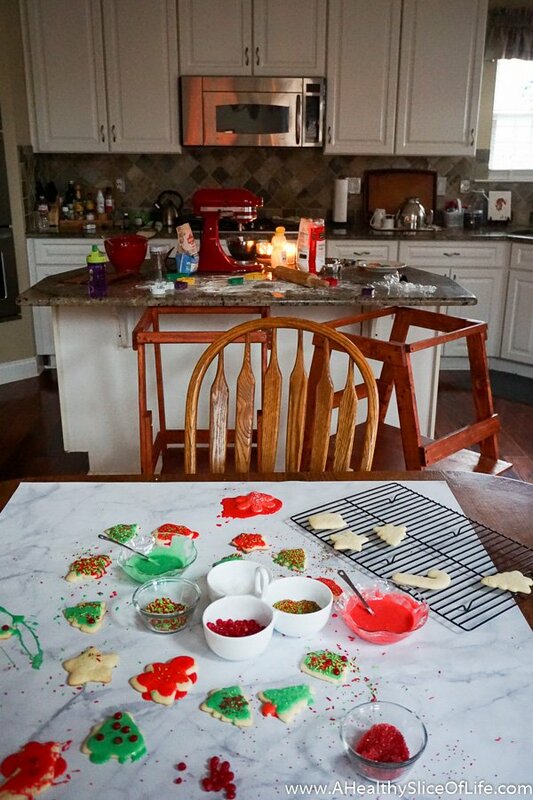 The cookie decorating area will be chaos, but that is where the fun is happening. I loved watching the girls get creative, even when it meant completely enveloping a cookie in a puddle of icing. Embrace the mess. Don’t try to clean the floor as you go. Just let the chaos happen. Then stick the kids in front of a Christmas movie with a cookie so you can pick up in peace. It’s a happier experience for everyone. 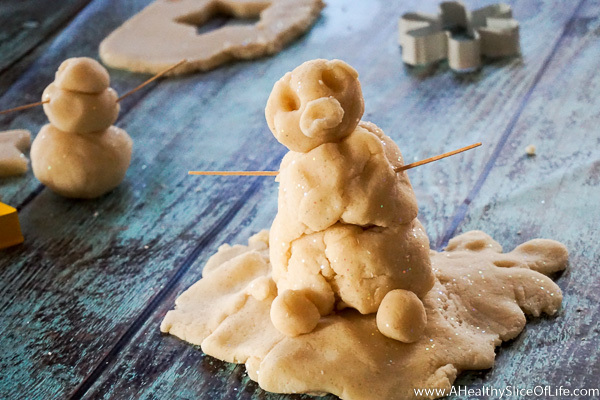 This is an easy at home playdough that adds a sparkle to the season and is easy for young kids to get involved with. I used 1/4 cup of white sparkly glitter and it worked perfectly. You want medium cut glitter, not super fine, so you can see more of the sparkle. Add a tsp of vanilla extract or a drop of peppermint essential oil while mixing to make the dough SMELL wonderfully seasonal as well! Get more use out of your cookie cutters! 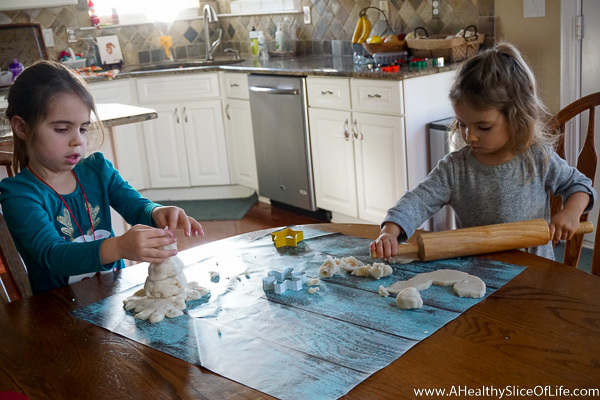 The girls making more “sugar” cookies along with building sparkly snowmen. I first made these a few years ago, but they are still a hit. 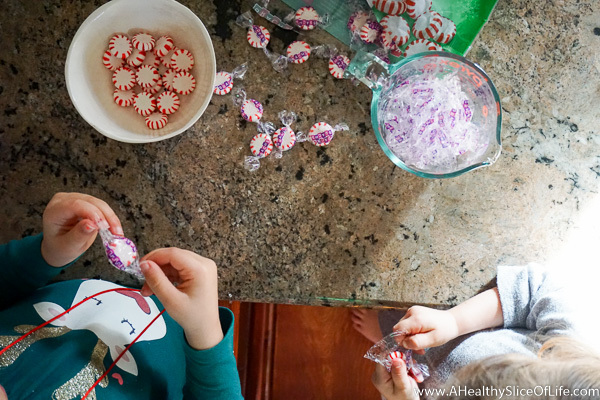 This craft is great for toddlers and young kids because unwrapping the peppermints keeps them busy for quite a while. While they unwrap, preheat the oven to 350 degrees and line a baking sheet with parchment paper. Gather large metal cookies cutters and spray with a nonstick oil. Place them on the parchment, then fill them with the peppermints. Bake 7-9 minutes until the candy melts together. 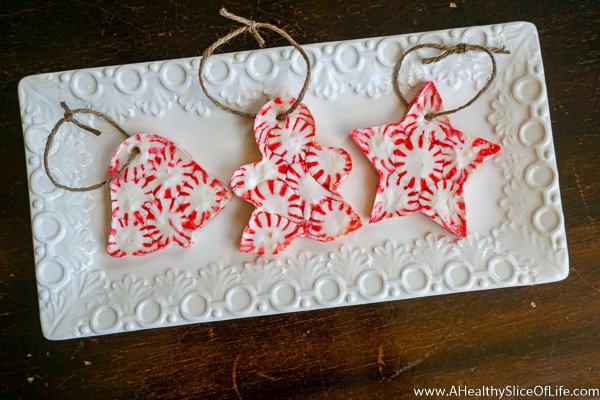 Remove, let cool (in the cookie cutters- don’t try to remove them) for 2-3 minutes until they begin to harden, then using a toothpick, make a small hole at the top of the ornament. Once completely cool, pop it out of the cookie cutter and add twine. 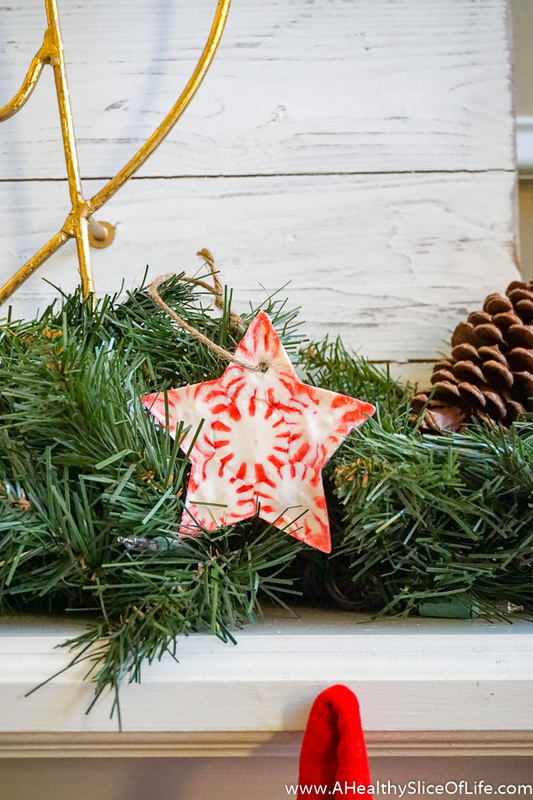 These work best with large, simple shape cookie cutters (think stars, Christmas trees, bells- here is a great basic set). 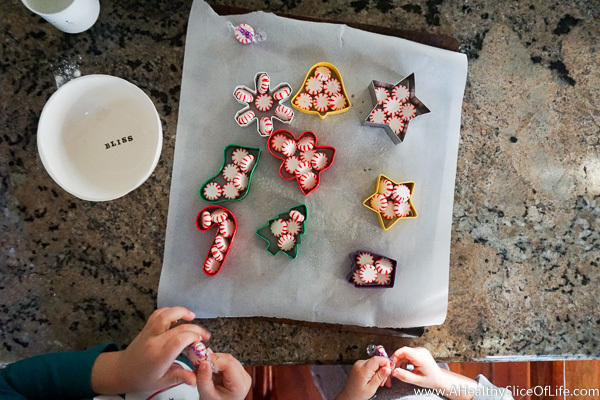 Aim for a single, even layer of peppermints in each shape to get the best outcome. 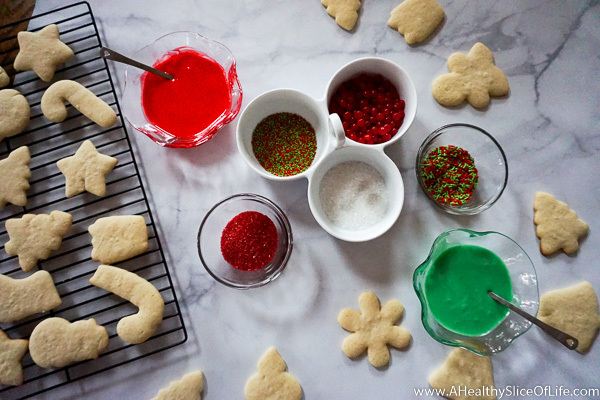 Do not forget to spray the cookie cutter or the ornament is more likely to break into pieces when you try to pop it out. These are not meant to last for years, but will easily last through a single season, so go ahead and hang them on the tree or give them away to friends. 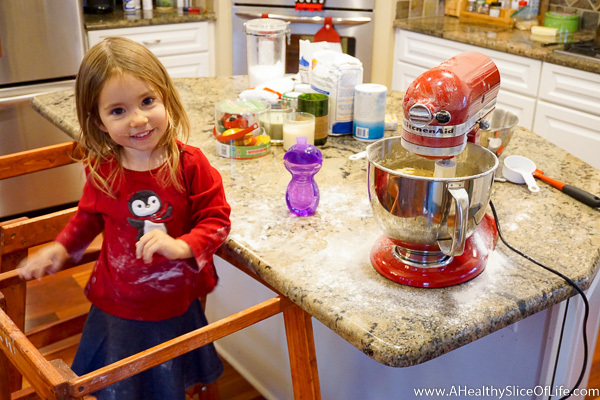 What are your favorite holiday activities and traditions that take place in the kitchen? This post was such a sweet way to start my day!! Thank you so much sharing!! Have a great weekend making more sweet memories!! what great ideas! I want to try the peppermint decorations! Those ornaments are so cute! I might need to try those. Where did you get those “stools” that go up to the counter for them to stand on? David built them! They are modeled after the learning tower that you can find online. We use them everyday!